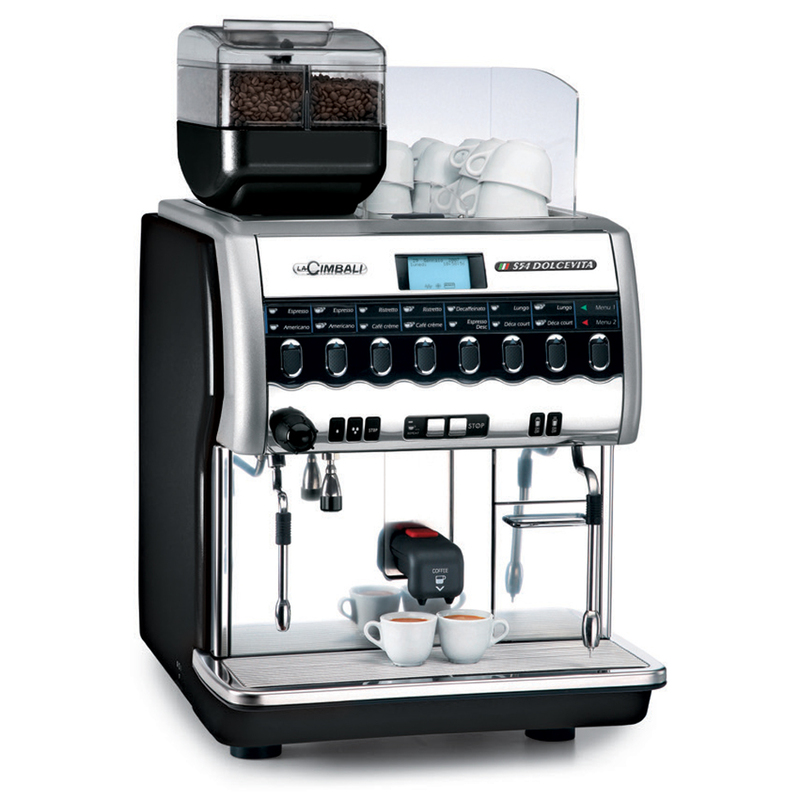 A super-automatic machine with high productivity that provides an outstanding service. 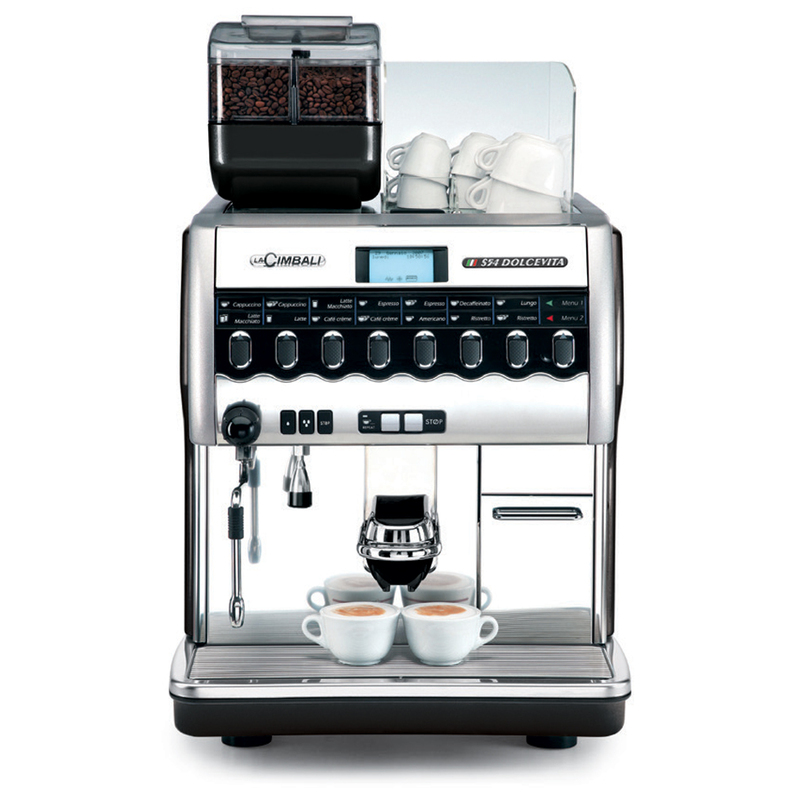 The S54 Dolcevita is a super-automatic machine that provides an outstanding service and produces up to 260 cups of espresso or 250 cups of café crème per hour, assuring an in-the-cup quality in line with the LaCimbali tradition, and a wide and varied coffee menu. 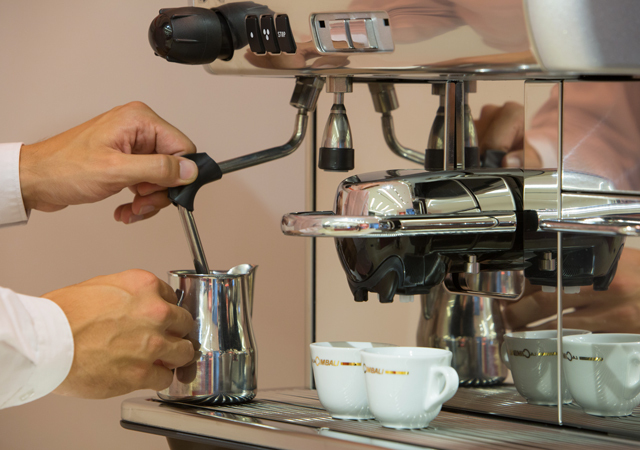 S54 Dolcevita is available in two versions: TurboSteam, equipped with a coffee delivery group, a standard steam wand and a TurboSteam, and MilkPS, equipped with the Cappuccino System, the MilkPS and a standard steam wand. RECEIVE OTHER NEWS FROM LACIMBALI WORLD! Stay connected to the world and news of LaCimbali. Gruppo Cimbali S.p.a. (hereinafter the “Company”) takes great care to ensure the security and confidentiality of its clients personal data during all business operations. The Company is the data controller for personal data gathered on this website/app and other data gathered by the Company. Contact details – information relating to your name, date and place of birth, address, telephone number, mobile number and email address. Interests – information you provide in relation to your interests, including products in which you are interested. Other personal data – information you provide relating to your date of birth, education or professional situation. Website use – information relating to the ways in which you use the website and open or forward our correspondence, including information collected through cookies (for more details please consult our Cookies Policy). If you respond to one of our marketing campaigns, for example by filling out a response form or entering your details on one of our websites. Please help us keep your personal data up to date by informing us of any changes to it. Personal data must only be processed on legitimate grounds in accordance with current personal data regulations, as described below. a) Operational management and other closely related purposes such as accessing the website for event registration. The Company collects your contact details and website usage data in order to allow you to access your profile, so that you can: (i) download documents relating to the services you have bought; (ii) register for an event you intend to participate in (hereinafter the “Event”). Reason for data processing: fulfilment of contractual obligations. Provision of data is compulsory so that we are able to respond to your requests; if you do not provide your data, we are unable to allow you to proceed. The Company may use your contact details to carry out customer satisfaction surveys relating to the service provided. Reason for treatment: consent; failure to provide consent will have no effect on contractual relationships. The Company may process your contact details for marketing and advertising purposes with the aim of informing you about sales promotion initiatives carried out using automated contact methods (email, SMS or other mass-messaging systems) as well as traditional contact methods (e.g. telephone calls using an operator). The Company may also contact you for the purposes of market research and statistical surveys in the event that you grant your consent for this and within the limits. The Company may process your contact details for purposes relating to sales and/or after-sales support, to provide you with product information or for other services requested by you where these are strictly related to products. The Company collects your contact details in order to fulfil a legal obligation and/or defend one of its rights in a legal setting. Reason for treatment: legal obligations to which the Company is bound to adhere. The Company employs a vast range of security measures in order to optimise the protection, security, integrity and accessibility of your personal data. All of your personal data is stored on our secure servers (or as secure hard copies) or on secure servers belonging to our suppliers or commercial partners. The data is accessible and usable in accordance with our security standards and policies (or the equivalent standards of our suppliers or commercial partners). We only store your personal data for the time necessary to pursue the purposes for which it was collected and for any other legitimate related purpose. Therefore, if your personal data has been processed for two different purposes, we will store your data until both purposes have been fulfilled. However, once one of those purposes has been achieved, we will no longer process your personal data for that purpose. Only those people who need to use your personal data for relevant purposes shall have access to it. Where personal data is no longer necessary - or there are no longer legal grounds for storing it - it shall be made anonymous in an irreversible manner (and stored in this manner) or securely destroyed. a) Fulfilment of contractual obligations: data processed in order to comply with any type of contractual obligation may be stored for the full duration of the contract and for no longer than ten years after the duration of the contract, in order to allow us to deal with any outstanding matters, such as accounting documentation (e.g. invoices). b) Operational management and purposes strictly related to access to the website: data processed for this reason may be stored for the full duration of the contract and for no longer than ten years after the duration of the contract. c) Customer satisfaction surveys: data processed for this reason may be stored for 24 months from the date we receive your most recent consent for this purpose (except where you have opted out of receiving additional correspondence). To coordinate with letter (c) from the previous paragraph. d) Marketing: data processed for marketing purposes may be stored for 24 months from the date we receive your most recent consent for this purpose (except where you have opted out of receiving additional correspondence). e) In the event of a dispute: in the event that we are forced to defend ourselves, take action or bring a claim against your or a third party, we may store personal data we consider to be reasonably necessary for such data processing purposes for the period in which such a claim may be pursued. Persons who may have access to your personal data include authorised employees and external suppliers who have - if necessary - been named parties responsible for data processing where these provide service support. Other companies controlled by Gruppo Cimbali S.p.a. may also have access to your personal data for purposes relating to IT infrastructure management, as per specific contractual agreements, as well as for marketing purposes, on the provision that you grant your consent for this (see letter (e)). Please contact us on titolare.gdpr@pec.gruppocimbali.com if you would like to see a list of parties responsible for data processing and other individuals or companies to whom we pass your data. The following email address can be used to contact the Company in its capacity of data controller: titolare.gdpr@pec.gruppocimbali.com. If you have questions regarding the way we process your personal data, please contact the data controller directly using the above email address only. 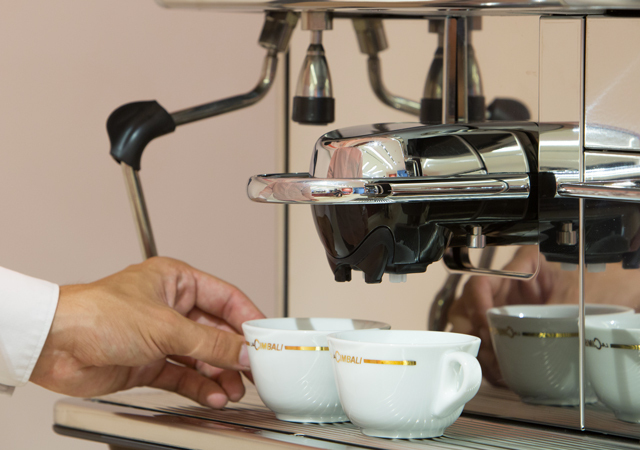 For requests relating to after-sales support, commercial and/or technical product information and for other services we provide, please consult the “Contact” section of the www.cimbali.com website or call us on +39 02 90049 and ask for the Marketing and Communication department. These rights are subject to a number of exceptions designed to protect the public interest (e.g. preventing or identifying crime) and our own legitimate interests. In the event that you exercise one of the aforementioned rights, it shall be our responsibility to verify whether you are legitimately entitled to exercise that right. We will inform you of the outcome of this within one month. We will make every effort to deal with your concerns should you make any complaints or remarks regarding the way we process your data. However, if you wish, you may take complaints or remarks to the authority responsible for data protection at the following address: Garante per la protezione dei dati personali - Piazza di Monte Citorio No. 121 - 00186 ROME.